— What Are Claw Toes And How Can They Affect Your Feet And Legs? Have you noticed that your toes sit in an upwards position and rub against the top of your shoes causing discomfort or a build- up of calluses and corns ? It may be that you have clawed toes. 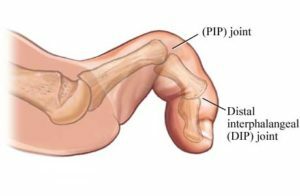 Claw toes occur when the metatarsal phalangeal joint sits in a hyperextended position while the proximal interphalangeal joint and distal interphalangeal joint of your foot sit in a flexed position, rather than neutral position. There are a number of reasons for claw toes : trauma or a previous injury to joint space structures, displacement or weakness of the ligaments underneath the feet leading to disruption of the bony structures of the toes or, diabetic or neurological conditions that affect the intrinsic muscles of your feet. Claw toes can cause pain by rubbing on the tops of shoes causing blisters, calluses or corns as well as muscular aches and pains due to altered walking patterns. They can also contribute to muscular imbalance between intrinsic (muscles inside the foot) and extrinsic (muscles outside the foot) and flexor (muscles that help the foot point down) and extensor muscles (muscles that help the foot point up). Metatarsalgia or ball of the foot pain is also a consequence of claw toes as altered forefoot structures lead to degradation of the plantar plate ligament supporting the metatarsal heads. The altered walking pattern of claw toes can lead to tightness of calf muscles as well as difficulty pushing off through your big toe area during gait. It forces greater hip rotation to help you push forward while you’re walking. There are a number of treatments such as high toe box footwear and padding that can help alleviate painful symptoms of claw toes, but often a multimodal treatment plan is needed to really get to the bottom of resolving claw toe issues.